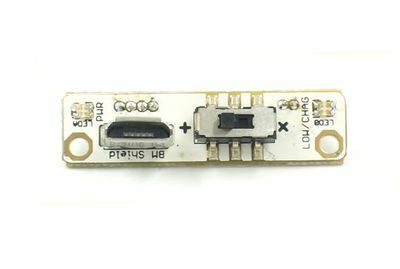 Microduino Module BM Shield is a single lithium battery microusb charging and discharging management module which should be used with the cooperation of Microduino-BM Li-ion, and at the same time, it includes the indicator light function of undervoltage, charging and outputting. Small, cheap, flexible, and open. A 1.27-spacing 4Pin interface （correspondingly connected to "VUSB", "SWI", "BAT" and "GND" of Microduino-BM Li-ion）. When the voltage is as low as 3.6v, the right light will emit red light, which shows that the rest power is little. When the lithium is connected and the two dial switch is dialed to the right（namely the side marked with "+"）, the right light will emit yellow right. 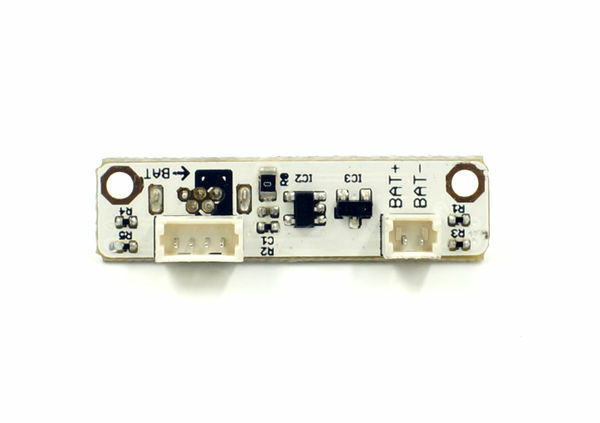 And if Microduino-BM Li-ion is connected, it will provide 5v and 3.3v voltage. This page was last modified on 3 October 2016, at 21:08.